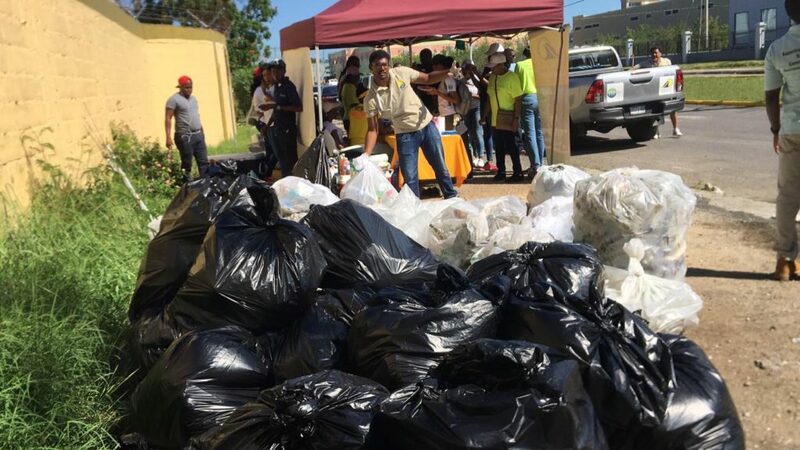 Sandals Earth Guardians in the Montego Bay region were part of a World Wetlands Day effort which collected a total of 1,175.35 pounds of garbage from major wetland areas in Montego Bay. 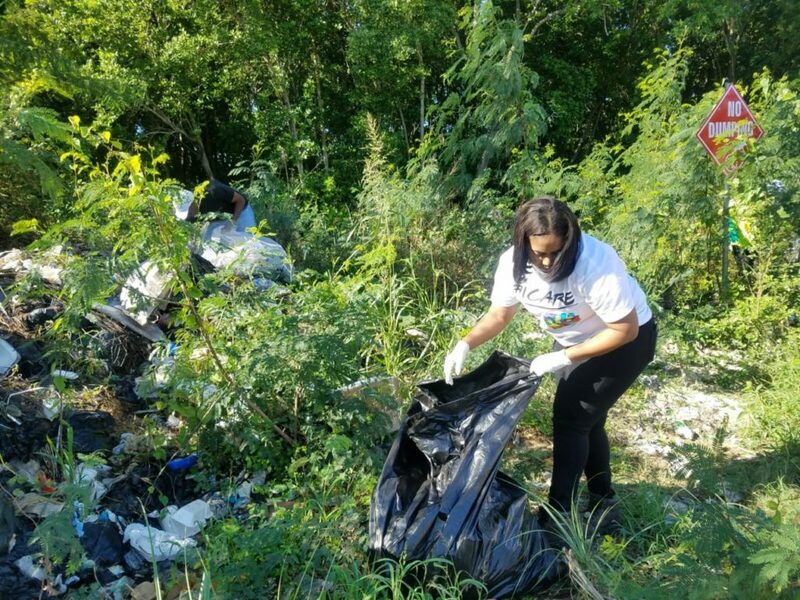 The clean-up exercise, organized by the Montego Bay Marine Park also saw other schools and corporate companies removing garbage at the end of Howard Cooke Boulevard and along the Freeport main road. Wetlands are critical areas of the natural environment. They prevent flooding by holding water much like a sponge. However much of these areas in Montego Bay have been used to facilitate expansions and regrettably are oftentimes also used as dumping sites. According to Science Officer at the Montego Bay Marine Park Chris May, the areas that were cleaned are part of the last bit of mangrove forest left in Montego Bay which the Montego Bay Marine Park has been working to preserve. Doing it for the love: Sandals Royal Caribbean’s Environment, Health & Safety Manager Selois Archer works feverishly to remove garbage from the wetland area at the end of Howard Cooke Boulevard on World Wetlands Day, February 2. 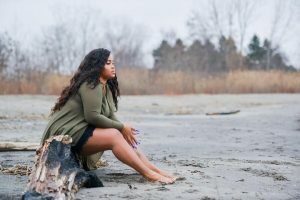 “Last year, we commemorated World Wetlands Day by replanting mangroves in the Freeport area and this year we want to focus our attention on reducing pollution here because despite the “NO DUMPING” sign, many people still dump garbage here,” May stated. He referred to frequent flooding in the town of Montego Bay which results partly from drains that are blocked with plastic and other debris. He added that more flooding would occur if people continue to dump debris in wetlands which usually assist in reducing flooding and act as breeding and feeding grounds for many plants and animals that are vital to a healthy environment. 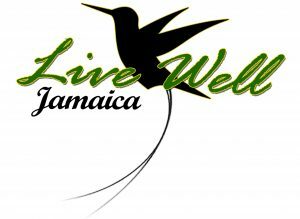 The Montego Bay Marine Park, corporate companies and schools commemorated World Wetlands Day by removing over 1000 pounds of garbage from two major wetland areas in the second city. Here Chris May, Science Officer at the Montego Bay Marine Park​ helps to pile up the catch collected at the end of the exercise. “We are quite happy for the plastic ban that was implemented by the government, and we expect that it will reduce pollution in a big way. 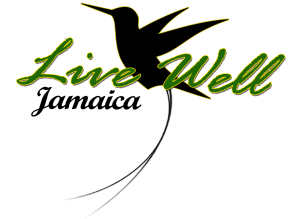 We are also happy that more and more people are becoming aware of the importance of wetlands to our environment. 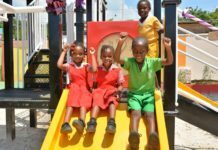 The first year observed World Wetlands Day, we only had 25 volunteers and this year we have way more than that as schools and other corporate entities have come on board,” May said. 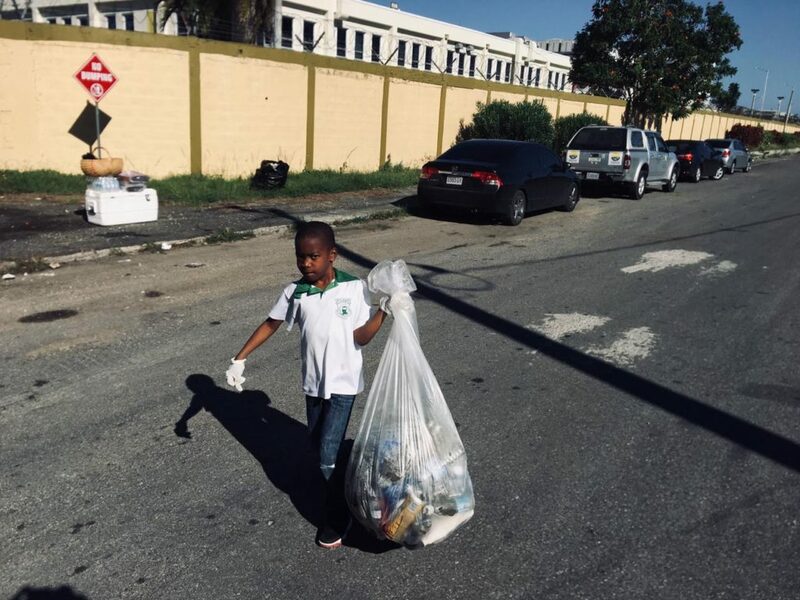 And A child Shall lead them: Young Andre Ormbsy from the John Rollins Success Primary School in St. James joined the Montego Bay Marine Park in reducing pollution in the wetland area at the end of Howard Cooke Boulevard, Montego Bay on World Wetlands Day, February 2. According to Environment, Health and Safety Manager at Sandals Royal Caribbean Selois Archer, the exercise was informative and vital for team members of Sandals Resorts. “Sandals is a company that depends on sun, sea and sand. 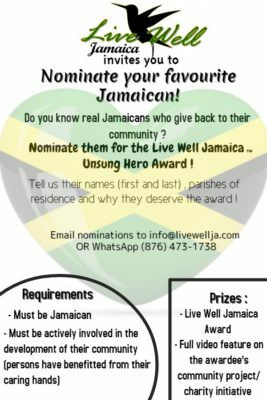 It is important to us that our team members are involved in activities that safeguard our natural resources. This initiative mirrors our commitment to preserve our environment and our company remains committed to working alongside any individual or organization that is so like-minded. 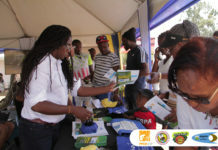 We will be here again next year and we will continue to spearhead other educational awareness programmes and activities to mark important global environment days,” Archer expressed. 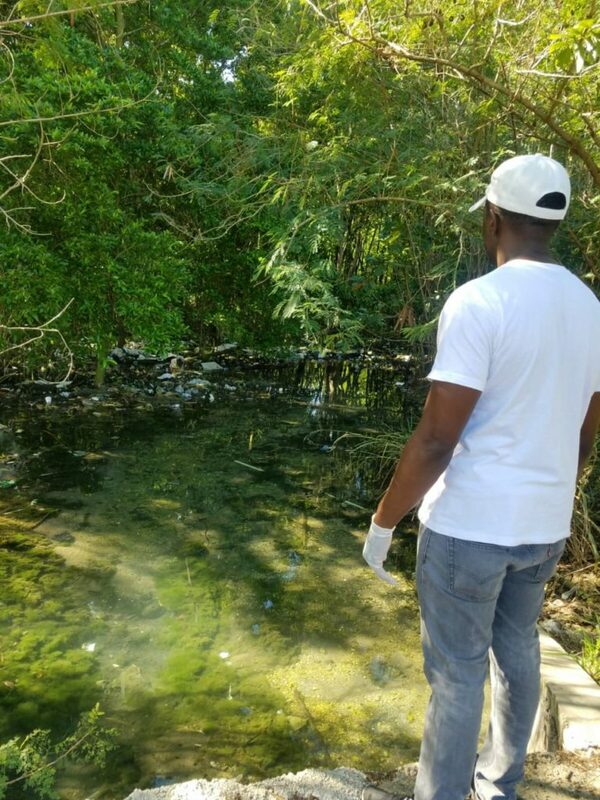 Thinking Green: Sandals Montego Bay’s Environment, Health & Safety manager Haniff Richards examines the garbage among mangroves at the end of Howard Cooke Boulevard in Montego Bay. 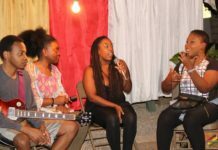 The area has been under the watch of the Montego Bay Marine Park that last year replanted mangroves to further protect the coastline.